Wanting to teach himself how to code Ronan Byrne designed the Cycflix, a stationary bike that streams Netflix but stops the stream if the person using the bike stops pedaling. 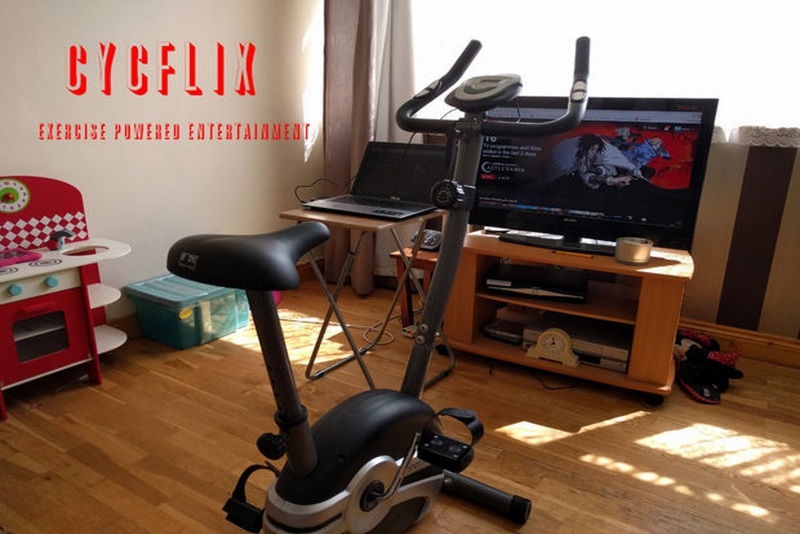 The Cycflix works by Byrne plugging his stationary bike into his computer where he determines how fast he wants to go during his exercise, for how long, and how many sets he plans to do. Once he chooses the video he wishes to watch from Netflix, he starts the video and a pop-up reminds him to start working out. Should he fall below his desired speed, the program reminds him of his goal before shortly pausing the video to wait for him to pick up speed. The Cycflix is not commercially available, however, Byrne listed out how he created his project on Instructables for anyone interested in attempting to replicate his process.